Wing span: 2 1/2 - 3 1/4 inches (6.3 - 8.3 cm). Adult food: Nectar from flowers of milkweed and viper's bugloss, among others. 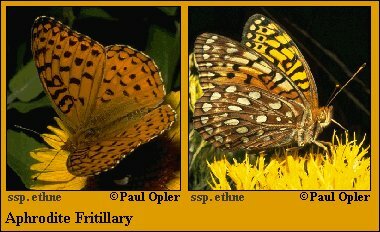 Habitat: Moist prairies, high mountain meadows, openings in barrens, brushland, dry fields, open oak woods, bogs.